At Irish Door Systems we have both the technology and the knowledge to bend the large aluminum extrusions. 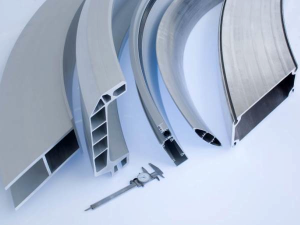 Our bending equipment enables us to bend profiles up to 7m in length, to exact sizes and angles. Our bending machines have the capacity to bend a single profile with numerous different radii, arches, ellipses and much more. We are delighted to now offer a new bending & curving service to our clients promising a unique service with prompt turnaround times provided at competitive rates. We take responsibility for the overall planning and coordination of projects involving bending or curving in order to deliver a complete solution to our customers. 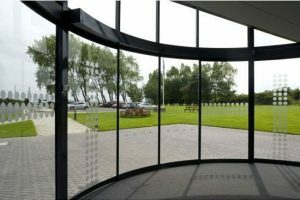 As a leading supplier, we can satisfy diverse customer needs, offering you the benefits of our extensive manufacturing capability, technical expertise and innovative product solutions. We bend steel or aluminum using advanced CNC machines, which are essential for creating diverse products in the quickest, most precise and reliable way possible. 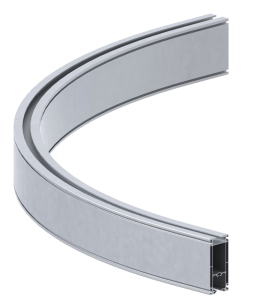 Using this state-of-the art bending technology to ensure consistent quality, accuracy and symmetry, we guarantee that our Aluminum can be extruded and bent to specified tolerances which in turn guarantees you peace of mind.